Next week on Friday I get to go to Six Flags. Everyone who is in either band, orchestra, or choir gets to go to Six Flags after they are done with UIL. I am really excited. I am happy to skip school for a day just to have fun. I’ve never been to Six Flags before. I am really happy that the first time that I get to go, it will be with my friends. We each get to pick a group to be in. I am in a group of three. I like small groups better than big ones because I think it is easier to decide what you want to do. 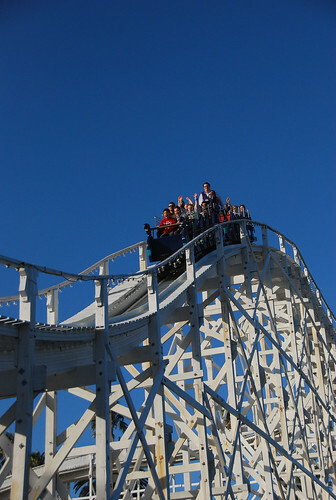 There are many things to do in Six Flags from riding rollercoasters to playing in the arcade. I can’t wait until next Friday, it just seems so long away!